To end our Grand Designs topic, 5W wrote and then filmed travel shows from different cities around the world using the green screen app. Check out some of our amazing videos below! We hope that you have had a lovely break and are excited to get going again. Spring Term 2 is action packed with lots of things to look forward to, including World Book Day on March 7th, our trip to the mosque and lots of other exciting things. Our focus this half-term will be on non-fiction writing. We will be looking at the story ‘The Man Who Walked Between’ by Mordicai Gerstein. The book tells the true story of dare-devil Philippe Petit, who walked, lay, knelt and danced on a tightrope wire between the roofs of the twin towers in 1974. We will use the story as inspiration to write our own newspaper reports for the New York Times and also create biographies about the incredible life of Petit. We will continue to develop our understanding of Year 5 SPaG and learn new spelling rules for the Year 5/6 key words. We will be focusing on how to apply all our SPAG work into our own writing. We will continue to be in mixed groups across Y5 for maths. We will be consolidating our knowledge of multiplication and division and looking at using this to help find fractions of large amounts. We will then be focusing of fractions by revising finding equivalent fractions before moving onto improper fractions and mixed numbers. We will be looking at using bar modelling as a method to help us with our work on fractions. We will be focusing on the Using and Applying aspect of Maths through Problem Solving Challenges. Please remember to carry on practising your times tables up to 12×12. Aim to be a Times Tables Rockstar this half term if you’re not already! Our topic this half term is Types of Change. We will build on our knowledge of materials by looking at reversible and irreversible changes. We will be mixing materials together to learn that in these changes new materials are made and that these new materials are often in the form of gases. We will explore dissolving and then use evaporation to recover dissolved solutes and will recognise that these are reversible changes. To develop our skills of Working Scientifically, we will use evidence gathered from our own and others’ investigations into dissolving and evaporation to draw conclusions and offer explanations. We will continue with our topic this term, Grand Designs. We will be learning all about famous landmarks both in Great Britain and around the World! We will look at famous architects before working in teams to design and construct our own buildings! We will continue with our new PHSE scheme ‘Jigsaw’. Our theme for this half term is ‘Healthy Me’, where children will explore how to recognise and explain peer pressure and be able to suggest a number of strategies for dealing with this. Through this, children will also explore thoughts and feels that may be associated with those pressures. We will look at designing and building our own apps using App Shed for a given audience and purpose. PE will be on Mondays and Wednesdays. PLEASE REMEMBER TO BRING YOUR PE KIT. Make sure you don’t get RED on your Assertive Mentoring! Children should have black pumps, black shorts and a plain white t-shirt. We will continue to have a creative approach to our homework this term. You will be given Maths and Spelling homework each week as well as being able to choose from a range of creative activities in Topic. Homework is given out on Friday and is due in the following Wednesday. Homework handed in on Wednesday is GREEN. Homework handed in on Thursday is YELLOW. Homework handed in on Friday is RED. We read in class every day, so make sure you always have your Reading Log in school. Please make sure you also read regularly each week at home and ask an adult to sign your Reading Log for you. We will sign your Reading Log every WEDNESDAY to check you have read at home, so please don’t forget!! Parents & Carers are always very welcome to call in to discuss any aspect of their child’s learning, any other area of their school life or just to say ‘hello’. We are available anytime before or after school, except on Mondays because that’s when we have our Staff Meeting. We are really looking forward to another great half term with you all! Miss Wood, Miss Pinington, Miss Wickham and Mrs Sharrock. Spring Term in Year 5! Happy New Year! Hope you’ve all had a brilliant holiday and are ready and raring to go again. We are really looking forward to this half term and we hope you are too! Spring Term 1 is a very busy one, so here’s what we’ll be up to! As usual, we’ve got lots of exciting activities planned in English. The start of this term, our focus is on writing non-fiction. We will start the year by writing our own non-chronological reports on own own mythical creature from the planet Pandora, from the film Avatar. We will then focus on narrative writing and will be basing our work around the text ‘Leon and The Place Between’ by Graham Baker-Smith. The focus of this book is a fantasy adventure which takes place when a boy called Leon visits the circus with his brothers and sister. We will be analysing different texts and video clips to help inspire our own writing, so that we can carry on being awesome authors too! We will develop our SPAG knowledge through continuing to learn about the various word classes and different spelling patterns, including the Y5/6 word list. We will be focussing on how to apply all our SPAG work into our own writing. We will continue to be in mixed groups across Y5 for maths. We will continue to develop our skills in the 4 operations, our understanding of Place Value, Decimals, Percentages and Fractions and Measurement. We will then move onto geometry and look at the properties of different triangles and investigate the angles in a triangle. We will be focussing on the Using and Applying aspect of Maths through Problem Solving Challenges. Our topic this half term is Properties of Materials. In this unit the children will compare and group together everyday materials on the basis of their properties, including their hardness, solubility, transparency, response to magnets and electrical and thermal conductivity. They will have given reasons, based on evidence from comparative and fair tests, for the particular use of everyday materials, including metals, wood and plastic. We will develop our working scientifically skills by be carrying out investigations to test materials to see if they are dissolvable and whether they are good insulators or conductors. Our topic for the whole of this term is Grand Designs. We will be learning all about famous landmarks both in Great Britain and around the World! We will then design and build our on 3D structures. We will continue to use Jigsaw in our PSHE sessions and our topic this half term is ‘Dreams and Goals’ we will think about our future aspirations and what we need to do in order to help us achieve these. We will be using Sketch Map, Book Creator and Seesaw programs to design our own structures. Children will be exploring drawings/illustrations representing both 2D and 3D worlds. The children will need to think about who they are designing their building for and other elements such as what materials they might use. Our focus this half term will be gymnastics. We will look at different jumps, rolls and ways to travel in order to create our own sequences. PLEASE REMEMBER TO BRING YOUR PE KIT. Make sure you don’t get RED on your Assertive Mentoring! We are really looking forward to a great half term with you all! Year 5 have been busy writing and then filming their own version of The Highwayman poem. 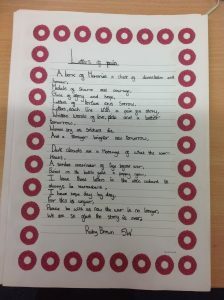 Check out some of our amazing poems below…. Isabelle made a brilliant video for her homework all about the battle of Bosworth. Well done Isabelle! Welcome back! We have lots of exciting things planned for this half term! 19th December: Year 5&6 Christmas Party. We will start the term by focusing on the poem ‘The Highwayman’ by Aldred Noyes. This narrative poem tells the story of the Highwayman and Bess and how their love is hindered by Tim the Ostler. The children will use this poem to write their own version and innovate the ending. We shall then move on to performance poetry and film our own performances. It is crucial that your child practises their spellings each week including their homework and words from the Y5/6 key spelling words. The children will recognize which numbers are divisible by 2, 3, 4, 5, 6, 9 and 25 and identify multiples and find factors. They will also compare and place fractions on a line, find equivalent fractions and reduce them to their simplest form. They will be using mental strategies to multiply and divide multiples of 10 and 100. They will learn how to use a written method to multiply 3-digit and 4-digit numbers by 1-digit numbers and estimate answers. We will then move on to dividing 3-digit numbers by 1-digit numbers and using a written method and express remainders as a fraction and solve division word problems. When focusing on shape we will use a protractor to measure and draw angles in degrees and recognize and use terms and classify angles as obtuse, acute and reflex. The children will learn to recognize that angles on a line total 180° and angles round a point total 360°. We shall then begin to identify and name parts of a circle including diameter, radius and circumference. The children will learn to draw circles to a given radius using a pair of compasses; relate angles to turns, and recognise that a 360° angle is a complete turn and use angle facts to solve problems related to turn. The children will be able to place numbers to 100 000 and decimals up to two places on a line, round numbers to the nearest 10, 100 and 1000 and decimals up to two places to the nearest whole number and compare and order numbers with up to two decimal places. Then we shall move on to reducing fractions to their simplest form, knowing and recognizing equivalent fractions and decimals to half, tenths and fifths. The topic for this half term is Forces. 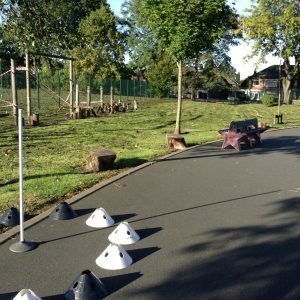 The children will be learning that unsupported objects fall towards the Earth because of the force of gravity. They will plan and carry out a fair test investigation to find out which shoe has the best grip and which is the most slippery. They will use a force meter to measure the force needed to pull shoes across different surfaces and then draw conclusions and create graphs to display this. Children will learn how air resistance slows objects down as they fall back to the Earth. They will plan and carry out a fair test investigation using parachutes to explore the effect of air resistance on a moving object. They will apply their knowledge of air resistance to investigate which sail is best at harnessing the push from air. They will also learn that levers can be used to reduce the force needed to lift a load. Our topic this term will be The Tudors. We will be learning about famous Tudor Kings and Queens and about what life was like during the Tudor times. This is the question we will be focusing on this half term. The children will consider why people do or don’t believe in God and the impact that might have on the way they live their everyday life. This half term will look at becoming more aware of the dangers of using the internet and looking at ways to stay safe online. The children will be having P.E. on Monday and Wednesday each week. Our focus this half term will be on street dance. Your child must have their P.E. kit in with them. Please make sure that your child’s P.E. Kit consists of a pair of black pumps, plain black shorts or plain black jogging bottoms and a plain white t-shirt or one with the school logo. Our theme for this half term is ‘Being me in my World’, where we will discuss what’s good about ourselves and explore what we want to achieve to continue growing and excelling with our unique talents. In Year 5 homework is given out each Friday and is to be returned every Wednesday. Each week the children will be set maths, topic and spelling homework. The children can choose from the “Tudor’ homework menu or think of their own activity! Homework can be presented in any way the children wish, so if they have published something using an iPad, tablet or computer please email it to us! The children are also asked to read at least twice a week to someone at home. We ask the children to record this in their Reading Log and they are checked every Wednesday and signed by a teacher or teaching assistant. Reading books are changed daily – whenever your child is ready for a new book. If you have any questions or concerns, please come and talk to us at the start or end of each school day. We are looking forward to a new school year and helping your children to learn and grow. Miss Wood, Miss Pinington and Miss Wickham. As part of our Earth and Space topic in Science, Year 5 have been investigating day and night and the apparent movement of the sun. We wanted to investigate what happens to the length of a shadow throughout the day? 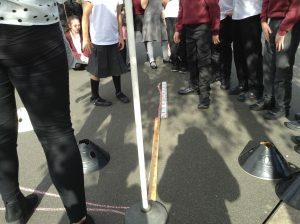 We measured the length of a rounders stick post shadow every few hours throughout the day and recorded the measurements. We found out that the length of the shadow was at it shortest at mid-day. This was because the sun was at its highest point in the sky. We also noticed that the angle of the shadow changed each time, this is because as the sun’s position in the sky changes it alters the angle at which it hits the post. This proved to us that the Earth moves! Welcome back! We hope that you have had a lovely summer break and are now ready and raring to go. We have lots of exciting things planned for the first half term, have a look below to find out more. We will start the year as film directors by writing and creating a short trailer for our own scary movie! Then our focus will be on ‘The Princess’ Blankets’ by Carol Ann Duffy. This beautifully illustrated fairy-tale tells the story of a princess, who no matter what, always feels cold. Her worried parents, the King and Queen, announce that if anyone can cure their daughter they can have anything they wish even half of their kingdom. The children will use this story to inspire their own narrative and we will be applying different aspects of Year 5 SPaG within our writing. The children will start the year by looking at number and place value. They will learn to read, write and compare 5 digit numbers. We will then develop different strategies to add and subtract mentally and look at choosing the most effective method. The children will then look at multiplying and dividing numbers by 10, 100 and 100 before focusing on measurement. 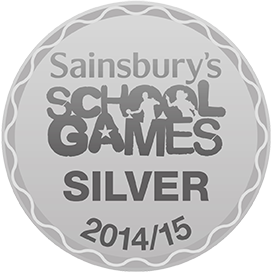 The children will develop and apply their reasoning and problem solving skills across all areas of the curriculum. Your child must be fluent in all of their multiplication tables. Make sure you’re a Times Table Rockstar by practising regularly. Each child has their own login to Times Table Rocksars. Our topic this half term will be Earth and Space. The children will learn about the movement of Earth, and other planets, relative to the Sun in our Solar System. They will learn about how we get seasons, day at night and the different phases of the moon. They will also have the opportunity to find out about how ideas about the solar system have developed and changed over time. 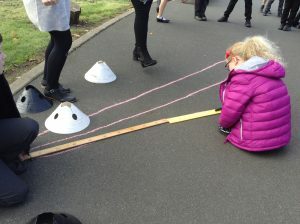 The children will develop their working scientifically skills, by planning an enquiry using a shadow stick to look at changes over time to investigate the apparent movement of the sun across the sky. Your child must have their P.E. kit in with them each week. Please make sure that your child’s P.E. Kit consists of a pair of black pumps, plain black shorts or plain black jogging bottoms and a plain white t-shirt or one with the school logo.